I'm a former bride and am happily married to my DH for over two years. Here's a scenario: I was asked to have my video of my wedding and it was promo'd. I still do not have a finished product. Out of respect, I opened a new account on the knot and will not name the vendors name. I haven't really bothered the vendor because they said they've been busy. I've been really patient. Really patient. I've recently sent an email to them over 3 weeks ago and no response. I sent one a week ago, and still no response. I just sent one tonight. Am I being unreasonable in asking for my promo'd video, after being patient for over 2 years? What can I do to resolve this? Any thoughts? Ps. I will not divulge any names. Re: What would be reasonable? You aren't being unreasonable. You might want to page Alphabride- she had a lot of problems getting her video from her videographer. you're not, if it's been 2 years and they promised you a video, then they owe you a video. regardless if you are a paying customer or not, they need to follow through with you. I would contact BBB and see if there is anything they can do. You may not want to state names and that's ok. I will tell you that if the vendor was Shoot the Bride Films you may never get it, especially if you didn't pay for it. Paying customers that wed a year ago are still waiting from that vendor. 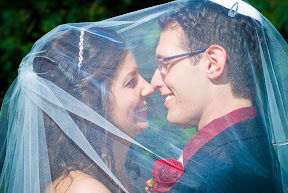 And for the record, I did get all of my edited video's from Shoot the Bride at 5 months out from our wedding date.